Make every morning a "Good Morning" for someone you love with these simple, funny, uniquely shaped 16 oz huggable hand warming mugs that have relevant and cute sentiments that will be sure to make them smile. Featuring a modern and soft color palette that helps you rise and shine. Brighten up the mornings for the ones you hold closest to your heart. 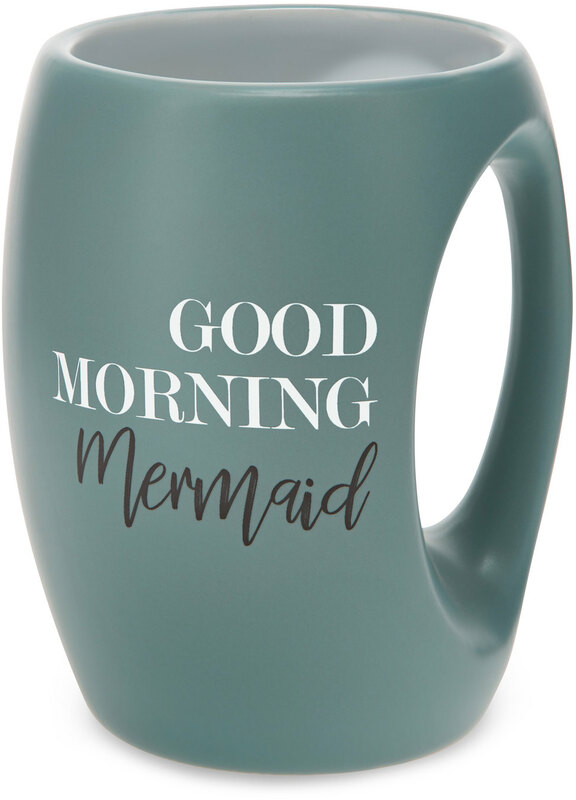 The perfect gift for your favorite mermaid lover.